The Governor Designate of the South African Reserve Bank (SARB) noted that this year was the first integrated report of the bank. It had been moving toward integrated reporting in line with best practice and international guidelines over the past few years. He provided SARB's views on the economy and the execution of the banks’ mandate on price stability and explicit financial stability. The implementation of the ‘twin peaks’ model was another strategic focus. Global growth appeared to be recovering but there were risks to the outlook, with differing paces of recovery in advanced economies. Domestic growth remained weak despite a return to positive growth in the second quarter. Mining output continued to decline despite the end to the five-month platinum strike and the manufacturing sector also contracted in the first half of the year. Real fixed capital formation by the private sector registered a contraction for the first time since 2009. The Bank’s GDP growth forecasts were 1.5% for 2014 as compared to 3% in November 2013. Growth was expected to be 2.8% in 2015 but risks to the downside might result in continuous downward revisions. The unemployment rate had fluctuated around the 25% level for some time and employment in the private sector has not yet recovered to 2008 levels, with the mining sector in particular employing fewer people and the capital intensity of production trending higher. The deficit on the current account widened again in the second quarter of 2014 despite a depreciated real exchange rate. Although South Africa attracted further financial inflows from abroad to finance the deficit, possible sovereign debt ratings downgrades would impact on the cost of financing the deficit. The domestic inflation environment was a challenge for monetary policy, The inflation forecast was for some moderation to be expected and with risks assessed to be on the upside, mainly from the exchange rate and wage pressures. Monetary policy had responded to higher inflation pressures, but had been sensitive to the real economy, with the real repo rate only slightly positive. The SARB group of companies consisted of the Bank and four wholly-owned subsidiaries: Corporation for Public Deposits (CPD) , South African Bank Note Company (SABN), South African Mint Company (SA Mint), South African Reserve Bank Captive Insurance Company (SARBCIC). The numbers of Prestige Bullion (a 60% subsidiary of the SA Mint) were consolidated for the first time resulting in a profit for the group of R92m. Total assets of the group increased by R68,9b. Total liabilities of the Group increased by R70,6b. The contingency reserve of the group decreased by R1,6b to R4,7b. Members asked what impact the absence of Germany had on the analysis of the Eurozone. What other options in terms of monetary and fiscal policy, especially regarding endogenous factors, was available for use? Given the debt to GDP ratio, was there flexibility to continue with infrastructure projects? What was the reason for the contraction in mining, trade and construction as these impacted on jobs. What was the Governor Designate's view on the private sector building and managing renewable energy supplies? Members asked how he would recommend the cycle of unemployment be broken as most families were spending less because of unemployment. Members said the current governor’s term would end in November and they would like a comment on the quick transition. Was the issue of uncomfortable shareholders finalised? What was the bank doing to manage the negative perceptions of the economy? What was the bank's strategy for retaining experienced staff? Members wanted the complexity of performance targets to be explored. Structural issues needed to be addressed. The private sector should be cajoled regarding job creation. The term ‘unemployed’ was a narrow definition and was unrealistic and a form of denialism. Members wanted more on the essence of the huge indebtedness. Something needed to be done to assist those indebted. The Governor Designate should talk to African Bank issue and what lessons were learnt. Did he have any view on a state bank and a coop bank? Treasury and SARS responded to the public submissions, dealing with the status of the draft responses, the content of the draft response document, the valuation of fringe benefit for defined benefit contribution, the postponement of tax harmonisation and cap on retirement fund reforms, the implications of delay in retirement laws, tax free savings accounts, company car fringe benefit tax, excessive interest limitation rules, R&D incentives, small business tax regimes, zero rating of agricultural inputs and relevant material and information gathering by SARS for TALAB. Members said, regarding the public consultation process of the bills, that Treasury needed to respond to comments made before workshops were held because the current manner was not effective. Members asked if the valuation of fringe benefits for defined benefit fund was a new tax because the argument would be why tax something which was established to encourage people to save. Regarding the postponement of retirement reform laws, members asked if there was a decrease in the cashing out of pensions. Members said NEDLAC had new proposals which would have implication on the law passed in 2013. How could Treasury assist in these matters. Could the Committee ask for the implementation to be made earlier than 2017? Members said there discussion between labour and government was taking place and it was a very contentious issue. COSATU made representations to the Committee and the Committee needed to be cautious that it not be used as a bargaining tool. Members said they were concerned about the decrease in R&D investments as a percentage of the GDP. Members said the recourse mechanism was via the high court and could the Department not consider another mechanism. Members said stakeholders took issue with the presence of SARS members on the adjudication committee. Members said the bottom line was that SARS would go ahead with zero rating and proposed that the zero rate be kept till the implementation date twelve months hence. A Parliamentary Budget Office official requested that the SARB annual report contain more performance information on the six primary objectives of SARB; on the debt to equity ratio of the bank; on the decrease in the contingency reserves and on staff turnover. Mr Lesetja Kganyago, Governor Designate of SARB, said this was the first integrated report of the bank. He gave his views of the economy and the execution of the banks’ mandate on price stability and explicit financial stability. He said implementing the ‘twin peaks’ model was another strategic focus. He said global growth appeared to be recovering but there were risks to the outlook, with differing paces of recovery in advanced economies. The expectations of US Federal Reserve normalisation were likely to keep changing and impacting on global markets. Emerging market currencies, including the rand were sensitive to changing expectations of US policy. Portfolio flows by non-residents had reflected changes in these perceptions of US policy and domestic bond yields also reacted to global and domestic developments. Domestic growth remained weak despite a return to positive growth in the second quarter. Mining output continued to decline despite the end to the five-month platinum strike and the manufacturing sector also contracted in the first half of the year. Real fixed capital formation by the private sector registered a contraction for the first time since 2009. The Bank’s GDP growth forecasts were 1.5% for 2014 as compared to 3% in November 2013. Growth was expected to be 2.8% in 2015 but risks to the downside might result in continuous downward revisions. The unemployment rate had fluctuated around the 25% level for some time and employment in the private sector has not yet recovered to 2008 levels with the mining sector in particular employing fewer people and the capital intensity of production trending higher. A significant number of workdays were lost to industrial action in the first half of 2014. Growth in household consumption expenditure has been declining steadily reinforced by subdued credit extension by banks to households in particular. Household debt remained high, but some gradual de-leveraging was evident. The deficit on the current account widened again in the second quarter of 2014 despite a depreciated real exchange rate. Imports had not responded strongly to the depreciated exchange rate and lower prices of export commodities had detracted from export revenue. South African export volume growth had been weak over time, reflecting a loss of competitiveness. Although South Africa attracted further financial inflows from abroad to finance the deficit, possible sovereign debt ratings downgrades would impact on the cost of financing the deficit. The domestic inflation environment was a challenge for monetary policy, however lower crop prices were expected to moderate consumer food price inflation and pressures from international oil prices had moderated recently. Administered prices remained above the upper end of the target range. The inflation forecast was for some moderation to be expected and with risks assessed to be on the upside, mainly from the exchange rate and wage pressures. Monetary policy had responded to higher inflation pressures, but had been sensitive to the real economy, with the real repo rate only slightly positive. A somewhat improved global growth picture in 2014 emerged in the second quarter, but emerging risks were the weak economic growth outlook for South Africa; inflation being above target, with upside risks, resulting in a moderate tightening cycle; monetary policy would continue to focus on its inflation mandate, but be sensitive to the state of the real economy; given the global and domestic economic context and expanded mandate, the financial situation continued to be challenging. 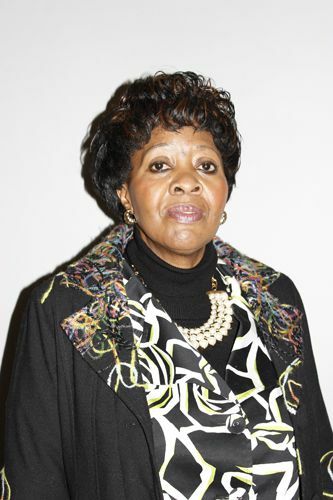 Ms Nadine Ford-Hoon, Group CFO of SARB, said the SARB group of companies consisted of the Bank and four wholly-owned subsidiaries: Corporation for Public Deposits (CPD) , South African Bank Note Company (SABN), South African Mint Company (SA Mint), South African Reserve Bank Captive Insurance Company (SARBCIC). The numbers of Prestige Bullion (a 60% subsidiary of the SA Mint) were consolidated for the first time resulting in a profit for the group of R92m. Total assets of the group increased by R68,9b. Total liabilities of the Group increased by R70,6b. The contingency reserve of the group decreased by R1,6b. The loss of R1,6b decreased the reserve, which amounted to R4,7b at the reporting date. Mr D Van Rooyen (ANC) asked what impact the absence of Germany had on the analysis of the Eurozone. What other options in terms of monetary and fiscal policy, especially regarding endogenous factors, was available for use? Given the debt to GDP ratio, was there flexibility to continue with infrastructure projects? Ms P Kekana (ANC) asked what the reason was for the contraction in mining, trade and construction as these impacted on jobs. Mr D Ross (DA) said the main challenge was the fiscal space available to stop deficits and addressing issues like the above inflation increases of administered electricity prices and announcements around new nuclear power stations. What was his view on the private sector building and manage renewable energy supplies. Ms S Nkomo (IFP) asked how he recommend the cycle of unemployment be broken as most families were spending less because of unemployment. Dr D George (DA) said the governor’s term would end in November and he would like to hear comment on the quick transition. Was the issue of uncomfortable shareholders finalised? What was the bank doing to manage the negative perceptions of the economy? Ms T Tobias (ANC) asked what the bank's strategy was for retaining experienced staff. Ms Diutlwileng said, regarding the bank supervisors report on credit risk, that credit risk measures made one question how the banking industry managed banks and its relation to market risk. One did not know what the challenges were which banks were referred to. In addition were there areas of concern or areas where intervention had been done or were needed in the relationship between how banks conducted business and the health of the industry. The Chairperson wanted the complexity of performance targets to be explored. Structural issues needed to be addressed. The private sector should be cajoled regarding job creation. The term ‘unemployed’ was a narrow definition and was unrealistic and a form of denialism. He wanted more on the essence of the huge indebtedness and that something needed to be done to assist those indebted. The Governor should talk to African Bank issue and what lessons were learnt. Did he have any view on a state bank and a coop bank? Mr Kganyago said he would improve and show even more performance information in subsequent reports. Other central banks were grappling with the same problem. He said the debt to equity ratio was not a good accounting measure to use. The bank did have a large staff turnover and the number of people reaching retirement age offered an opportunity to inject new blood into the bank. He said the bank had to set a multiplicity of targets for financial stability targets. It was a new concept. There was nothing before 2008 and a lot after that. Financial stability was difficult to define. One definition was ‘when markets were functioning and credit flowing’. The bank would be publishing a paper on it at the end of the year. Regarding the economy, fiscal and monetary policy was used in 2008/9 in a countercyclical fashion. This could be continued if the fiscal space allowed for it. Structural reforms were complex and the economy was overanalysed; the National Planning Commission and the National Development Plan (NDP) was the solution. He said unemployment was a statistical concept not an economic concept. He said levels of indebtedness and assistance was a macroeconomic issue which concerned the corporate sector and the government sector. On the issue of whether indebtedness was a threat to the financial system he said banks had given too much credit too easily. This was due to the conduct of credit providers, the National Credit Act (NCA), the concept of borrowing 'to keep up with the Jones’ and a lot of credit extended by non banks like micro lenders. Germany had been excluded because Germany was the largest and best economy in the Eurozone and its inclusion would paint a false picture when trying to understand what was happening in the rest of the zone. Regarding Mr Ross question on the role of private sector in investing in the Renewable Energy Incentive Program (REIP), he said the private sector had got involved. In response to Ms Nkomo’s question, he said the cost of mechanisation versus using labour needed to be discussed. He said it was important that foreign investors needed to see something in South Africa worth communicating. The administered price of petrol was market related and so could not be influenced but electricity could be and those were fiscal policy choices. Shareholders could not own more than 10 000 shares and they had a say being represented by seven of the 15 directors. The rest were appointed by government and policy resided with the governor and deputy governor. Regarding staff retention, he believed in high performance teams of young professionals. Regarding the bank supervisors report, he said it was published in December 2013 and was a dated publication so would wait for the updated report due out soon. He gave no comment regarding the question of a state bank. There had not been much developments around African Bank since the bank’s earlier statement. If a bank went under curatorship a report on what went wrong had to be produced within six months noting lessons of how it could have been avoided. Adv John Myburgh was assisting in the compilation of this report. He would give a written response regarding the staff breakdown. Given the built-in risk pricing by banks, Mr Van Rooyen asked how he could impact on this space. Ms Nkomo asked what role MPs could play regarding emerging markets. Mr Ross asked what the implications were on the good bank/bad bank with regard to the SARB rescue package. Did the PIC underwrite R7b? Mr Kganyago said risk pricing by banks was cheaper than micro lenders. Institutions were regulated prudentially. Credit was regulated by the National Credit Regulator (NCR). Usury was capped at 30%. He said emerging risks was China which was a big issue as it was growing at 7%. The Euro market was an important area for SA and China. African Bank - the 'good bank' - had capital underwritten by R10b from the PIC which owned 15% of African Bank. The 'good bank' assets equalled its liabilities. African Bank had in fact increased deposits since curatorship. SARB had checked the size and complexity of the bank and how interconnected the bank was. It was found not to be complex but it was interconnected through its purchase of bonds and the inclusion of pension fund money and so it was deemed fit to intervene. It had been under supervision for 18 months prior to the bank going into curatorship. The bank had gone to shareholders who put up R5b but this had been wiped out. The 'good bank' felt the need to have R7b in liquidity and SARB had given the liquidity with collateral provided by the 'bad bank' book which was valued at R34b by the bank but valued by others at R17b. SARB gave R7b based on that book. The PIC was not involved in the R7b. The central forecast would be published in late November/ early December and was publically reviewed by an outsider from the University of London. Mr Ismail Momoniat, National Treasury Deputy Director-General: Tax and Financial Sector Policy, said tax policy was market sensitive and that tax was not only about the tax rate but about the tax base. They had received 90 written and 12 oral responses from organisations. There were no comments on the Rates bill. The draft response statements were not the final response which the Minister will incorporate into final bill to be tabled the following week. Key issues were tax free savings accounts; valuation of fringe benefit for defined benefit contributions; proposed amendments to small business taxes; valuation of company car fringe benefits; the zero rating of agricultural inputs. Mr Chris Axelson said it had worked with industry to solve challenges around the valuation of fringe benefit for defined benefit contributions and had taken away some of the reporting requirements. Mr Momoniat said the amendment proposed the previous year to harmonise the tax treatment of retirement funds and included that one had to annuitise if one wanted to enjoy the tax benefits and that this would apply to provident funds also. This was not in the original bill but there had been interaction with the trade unions and NEDLAC where it was felt that more clarity was needed and there had been false rumours of the nationalisation of pension funds which had led to premature cashing out of pensions and provident funds. Cabinet had strongly dismissed these rumours and no laws had changed so people could still cash out pensions. So it would be delayed to 1 March 2017. They still intended to publish it but would update the retirement laws. He said the big disgrace was the charges imposed on members of pension funds where half of income was gobbled up by administration charges. Treasury did not want to delay on the reforms and the only delay would be for the 2013 amendment. Mr Cecil Morden said Treasury felt the tax threshold on the tax free savings was reasonable. The regulations regarding type of product and service providers that would qualify would be published by the Department by the end of October and it would be regulated by the FSB. On car fringe benefit tax, Mr Franz Tomasek, Group Executive: Legislative Research and Development at National Treasury, said industry costs were less. Mr Morden said motor industry had objected to the use of retail market prices instead of the cost price. They proposed to continue with the amendment and provide clarity on retail market valuation through regulations. Section 23(m) and (n) was designed to protect the tax base from base erosion and profit shifting (BEPS). The two issues were that of controlling relationship which had been high at 80% and was now adjusted to 50% and provision for exemption had been made regarding guarantees. Treasury felt that while 23(n) on transfer pricing was related to 23(m), it did not overlap . Research and Development (R&D) amendments were of a technical nature. The main outstanding issue was the use of the word 'innovative'. It was not defined in law and Treasury would come back the following year with a better definition. Small business tax amendments was mooted by the Davis Tax Review Committee (DTRC). Given the mixed reactions that were garnered, Treasury had agreed to withdraw the proposals for reconsideration. Mr Momoniat said Treasury wanted to fast track the DTRC proposals and if there had been unanimous support, Treasury would have proceeded. Mr Prenesh Ramphal, Senior Manager: Tax Research and Development, said industry had felt that the tax would create cash flow problems. It had met with stakeholders and in Treasury’s view, it would not impact significantly so it would be in law but implementation had been delayed for 12 months. Treasury was seeking to elicit more information. Mr Tomasek said there was one concern regarding TALAB, that was on the issue of what was relevant material. Taxpayers felt they should determine what was relevant material but SARS felt it was their duty to determine the relevant material and information gathered. Mr Ross said, regarding the public consultation process of the bills, that he recommended that Treasury needed to respond to comments made before workshops because the current manner was not effective. Mr Momoniat said the problem was that it was market sensitive information so they could not respond to one stakeholder but had to interact with all. It was also impractical to respond to each and every submission. Perhaps after the bill was tabled, they could allow a quick round of comments. Mr Morden said the Departments response was in the document in front of the Committee and there would not be time for it to be published for workshops if Mr Ross’ recommendation were to be followed. Similarly with Mr Momoniat’s suggestion of a further round of comments, he said there were time constraints involved. Mr Momoniat said Treasury did take comments seriously and learnt from the comments precisely because it was market sensitive. He could not see the department doing the TLAB before July. Mr Ross asked if the valuation of fringe benefits for defined benefit fund was a new tax because the argument would be why tax something which was established to encourage people to save. Mr Axelson said in previous years there had been retirement reforms. Treasury wanted to treat defined benefit contributions like defined contributions to motivate increased pension savings. It was thus a new tax but was intended to harmonise all the different retirement funds existing. Mr Morden said one could currently only deduct 7.5% of one's contributions. The employers portion was not tax deductible. Now the taxpayer and the employer contributions were combined and would be tax deductible for that full amount. Regarding the postponement of retirement reform laws, Ms Nkomo asked if there was a decrease in the cashing out of pensions. She said NEDLAC had new proposals which would have implication on the law passed in 2013. She said the Committee should ask Treasury how they could assist in these matters. Could the Committee ask for the implementation to be made earlier than 2017? The Chairperson said there was a discussion with labour and government taking place. It was a very contentious issue. COSATU made representations to the Committee and the Committee needed to be cautious that it not be used as a bargaining tool and he, personally, was concerned about the implications. He said the Committee needed an independent evaluation. He said the delay was for a period up to two years, so it could be implemented earlier. Mr Momoniat he said the Department position was they would go ahead with the consultation process and could come back to Parliament. The Department did need a minimum one more year. The rumours were not because of facts and it was clear government did not change any rules. People could still cash out all their provident fund amounts for all contributions made up to March 2015 or seven or eight years hence. They could cash out so there was no need to pull out. The Department was hoping to get consensus, but if not , they would approach the Committee the following year to get it implemented by 2017. On R&D, Mr Morden said certain activities were excluded even if they were R&D, of which clinical trials was one. But after interactions with industry, it was now included as was generic medicine. The law did not define what innovative was so lawyers were using dictionary definitions which was causing problems so Treasury would come back the following year with a better definition. Mr Morden said they were dealing with R&D differently from the previous year. Previously they provided companies with an automatic deduction with no approval process. In the audit process SARS might find that the company did not qualify so companies had uncertainty on whether they qualified or not. In the previous year, legislation had changed to allow for an adjudication committee which could make a determination and provide more certainty to the companies. The move to the adjudication process took some time because for example the Department of Science and Technology (DST) had to build capacity and guidelines had to be published but progress had been made and most of the issues were sorted out. Mr Ross said he was concerned on the decrease in R&D investments as a percentage of the GDP. He said the recourse mechanism was via the high court and could the Department not consider another mechanism. He said stakeholders took issue with the presence of SARS members on the adjudication committee. Mr Morden said the Department would come back to the Committee with a definition the following year. He said he would bring DST to the meeting to explain why the DST needed SARS at the adjudication meeting. Mr Tomasek said it was in the Income Tax Act which SARS was responsible for administering so should be on the recourse mechanism. Mr Morden asked to who recourse would be made, to the adjudication committee or to the minister. If it went to the adjudication committee, its workload would be excessive and they would not cope and then the administration aspect should be prepared beforehand. Mr Ross said the bottom line was that SARS would go ahead with zero rating. He proposed that the zero rate be kept till the implementation date twelve months hence. Mr Tomasek said the impact was not big, so the question was how to phase it in. His concern was that the Department could be stuck for five years in negotiations.